Congratulations to these Affiliates on their recent accomplishments! The Whatcom Museum has been awarded a $50,000 grant from the Norcliffe Foundation in support of the upcoming exhibition, Endangered Species: Artists on the Front Line of Biodiversity. The grant will assist the Museum in funding exhibition design, related educational programming, and an exhibition catalogue. Japanese American National Museum (Los Angeles, CA)-$250,958 for “Contested Histories: Art and Artifacts from the Allen Hendershott Eaton Collection” to conserve more than 100 artifacts from the collection of Allen Hendershott Eaton, a folk art expert who acquired artwork created by incarcerees, which the museum will share as part of a traveling exhibition. To support “Endangered Species: Artists on the Front Line of Biodiversity,” an interdisciplinary exhibition, catalogue, and website. Temporary installations, drawings, computer-generated images, and video documentation will comprise the final section of the exhibition. Teacher workshops, an artist-talk for students, and discussions with artists and scientists will complement the exhibition. To support Studio 61. “61” refers to the latitude of Anchorage and other Northern cities such as Reykjavik and Oslo that are being studied by scientists and others to understand the impacts of climate change. 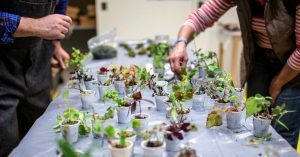 Through the project, artists and designers in these northern climates will share their vision of the environmental and cultural changes they witness due to climate change. To support the creation and presentation of a series of virtual environments that will explore the ecology of the Arctic in partnership with the Alaska Center for Conservation Science. To support the exhibition “PLAY: It’s Not Just Fun and Games.” The exhibition will highlight the intentional integration of play into the lives of children and adults living in urban environments through creative design. To support the museum’s Teen Docent Program. The program empowers the participants, helps them develop leadership and critical thinking skills, and exposes them to museum career opportunities. To support “In the Spirit,” a series of installations by contemporary artists in the museum’s Art Deco Crane room. In the Spirit will feature three artists-Yusuke Asai, Karin Giusti, and Meredith Woolnough-whose site specific work will explore the intersection of art and natural science. To support the Michigan Traditional Arts Apprenticeships and Heritage Awards Program at the Michigan State University Museum. The Michigan Traditional Arts Apprenticeship Program will support master artists in the instruction of apprentices about various traditional arts. The Heritage Awards Program will provide public recognition of the master artists and demonstrations/performances by the artist and apprentice teams at the Great Lakes Folk Festival. To support Storytelling Live!, a seasonal artist residency program. Master artists representing a broad range of storytelling traditions from the United States and abroad will conduct week-long residencies. Aileen Chumard Fuchs has been named the new president and CEO of Snug Harbor Cultural Center & Botanical Garden (New York, NY). Kyle McKoy has been named the new President and Director of the Mercer Museum & Fonthill Castle (Doylestown, PA). David N. Myers has been named the new President and CEO of the Center for Jewish History (New York, NY). Teen participants in the Smithsonian Latino Center’s Young Ambassador Program will be doing internships at nine Affiliates in July, including the Musical Instrument Museum in Phoenix; the California Science Center in Los Angeles; the Museum of Latin American Art in Long Beach, CA; History Miami and the Frost Museum of Science, FL; Adler Planetarium in Chicago; Fort Worth Museum of Science and History; History Colorado in Denver; and the Witte Museum in San Antonio, 6.25 – 8.2. The Tellus Science Museum will host the Art of the Airport Tower exhibition from the National Air and Space Museum, in Cartersville, 7.14. Rotary telephone made by Northern Electric in the 1980s. Component count: 148. 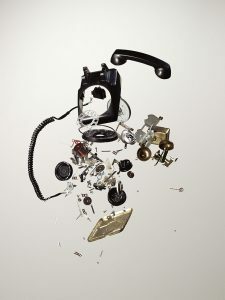 Photograph by Todd McLellan, from the Things Come Apart exhibition. The Birthplace of Country Music Museum will open SITES’ Things Come Apart exhibition in Bristol, 7.15. Margaret Weitekamp, curator at the National Air and Space Museum, will give a talk on Art & the Apollo 13 Mission at the Long Island Museum in Stony Brook, 7.16. David Miller, curator at the National Museum of American History will present at the Arsenals of History: Firearms and Museums in the 21st Century symposium at the Buffalo Bill Center of the West in Cody, 7.17-18. Brent Glass, former director of the National Museum of American History, will give a talk and booksigning on 50 Great American Places: Essential Historic Sites Across the U.S. at the South Dakota State Historical Society in Pierre, 7.24. The Birthplace of Country Music Museum opened in 2014 and is housed in a historic building in Bristol, Va., just a couple of blocks away from where Peer’s famous recordings were made. 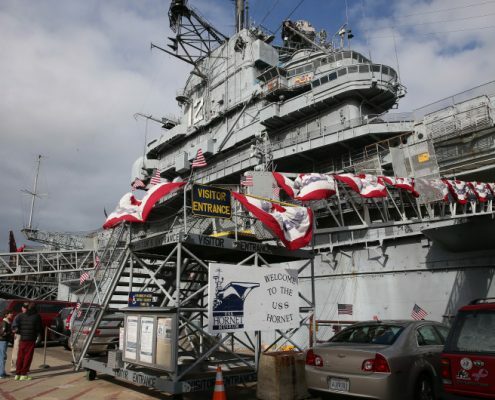 It’s a state-of-the-art museum that’s affiliated with the Smithsonian. Johnson said he was there because part of his job as the director of a national museum is to help other museums across the nation. It’s also appropriate because Ashfall is a Smithsonian affiliate. Frost is the largest private benefactor of the new Phillip and Patricia Frost Museum of Science, which opened in May. 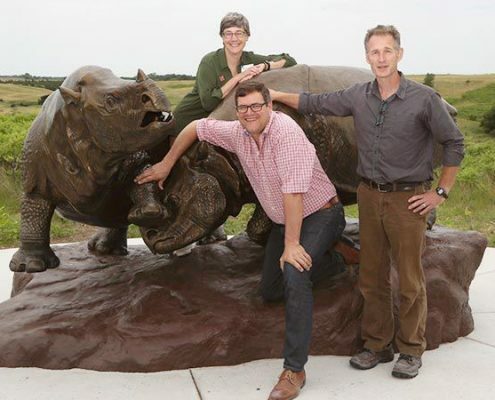 The Frosts gave $45 million to the museum. In joining the Affiliation, Sacramento’s growing population will further receive the necessary help to build a bridge between the local experiences available in individual communities with the national heritage preserved and displayed at the Smithsonian. Ty Smith, new Director for the California State Railroad Museum, talks to Kitty about the museum becoming a Smithsonian Affiliate. San Francisco’s only waterfront aquarium, Aquarium of the Bay, is proud to announce its new designation as a Smithsonian Affiliate. This prestigious designation makes it one of only three institutions in San Francisco and the only dedicated aquarium in the state of California to be honored as an affiliate. The museum had been a Smithsonian affiliate since 2002. Now, said Garofalo, the entire corridor is recognized as an affiliate. “We are the first heritage corridor affiliate and the only canal affiliate in the United States,” said Jim Birdsall, chairman of the park’s trails committee. Those who preserve the historic path used to transport coal and iron from Wilkes-Barre to Philadelphia will now be able to draw on the resources of the world’s largest museum and research complex. “We are honored to be affiliated with the Smithsonian in our shared goals of increasing discovery and inspiring lifelong learning. This partnership is an incredible collaborative resource that will help us deliver more mission moments to more people with greater impact, both onsite and in our communities,” said Shedd Aquarium President and CEO Bridget Coughlin. The Springfield Museums, an affiliate of the Smithsonian Institution, will exhibit 27 photographs on loan from the National Museum of American History in Washington. The Richard Avedon photographs will anchor the Springfield Museums exhibition, providing a glimpse into the Kennedys’ personal life, while also documenting their public image. Special thanks for this guest post to Dr. Jorge Perez-Gallego, Curator of Astronomy and Exhibition Developer, Phillip and Patricia Frost Museum of Science. Riddle us this: what moves faster than the speed of sound and lives in a gallery? Gulf Stream Aquarium Oculus at the Frost Museum of Science. Photo by Ra-Haus. The answer: a Northrop F-5B Freedom Fighter, on loan to the Phillip and Patricia Frost Museum of Science from the National Museum of the United States Air Force. The supersonic light fighter is capable of speeds faster than 1,000 miles per hour and you’ll find it hanging right over your head in the Feathers to the Stars exhibition, located in the Batchelor Foundation and Christine Allen Gallery, in the museum’s North Wing. 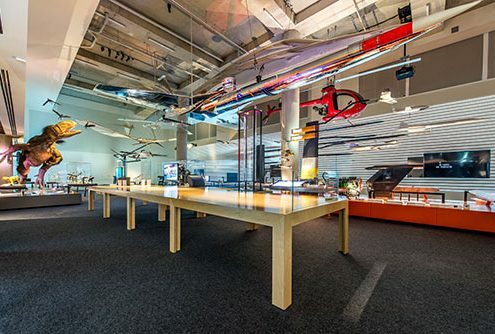 Frost Science, which officially opened its doors in Downtown Miami’s Museum Park on May 8, is truly a marvel of both architectural and engineering feats. 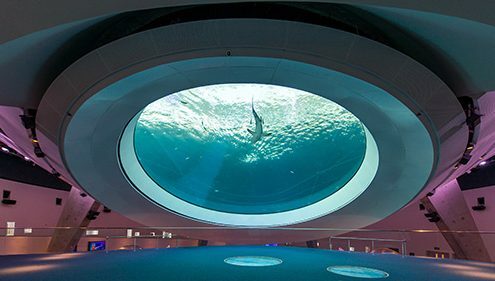 An affiliate of the Smithsonian Institution, the museum features a three-level 500,000-gallon cone-shaped Gulf Stream Aquarium teeming with hammerhead sharks and dolphins, anchored by a 31-foot oculus lens that peers into the waters above. The Frost Planetarium, one of the most advanced facilities of its kind anywhere in the world, uses a 16-million-color, 3-D 8K visual system to send visitors hurtling through space and into the depths of the ocean. And with a fascinating roster of interactive exhibitions, it’s easy to spend an entire day exploring and being immersed in the power of science. Now, about that Northrop—exactly how is an 8,000-pound airplane moved into a gallery? Teamwork. Lots of it. For that, Frost Science enlisted the help of an invaluable group of experts, including first-class airplane movers and riggers. The aircraft was brought into the building in three pieces (the fuselage, the wings and the tail) through a tight opening between the Frost Planetarium and the level three terraces. The intricate task took our crew 10 hours from beginning to end. Because sound waves move at a finite speed, moving sources can catch up with the sound waves they emit as they accelerate. As this happens, sound waves pile up in front of them. If the aircraft is fast enough, it can burst through them causing a sonic boom. The loud noise is a consequence of the change in pressure as the aircraft outruns all the sound waves ahead of itself. That accomplishment came just over 40 years after Orville and Wilbur Wright made the first controlled, sustained flight of a heavier-than-air powered aircraft on December 17, 1903, four miles south of Kitty Hawk, North Carolina. And just over 20 years before Neil Armstrong set foot on the moon. In less than a lifetime, humans mastered the sky and knocked on the door of space exploration. Feathers to the Stars will carry you through the amazing story how ancient evolution gave birth to animal flight, and how humans used imagination and engineering to get airborne and explore the infinite possibilities of space. The exhibition also features a rocket engine, a rocket tail piece with jet deflector vanes, and a model of a V-2 missile (the world’s first guided missile) on loan from the Smithsonian Institution’s National Air and Space Museum. Ultimately, Feathers to the Stars is a story driven by challenges—and perseverance. Ready for take-off? You can find more information on the exhibition here.